Please note: Students beginning the major as of Fall 2019 will be required to take arts 2000 for entry into all upper division courses. Arts 2610 will still be required for painting, sculpture, and printmaking courses. If you have questions, please contact a studio major advisor. Majors acquire essential artistic skills as well as experience in the handling of a wide variety of ideas, materials and methods, putting student in touch with the problems of creation and with the ideas and practice of artists in the contemporary world. 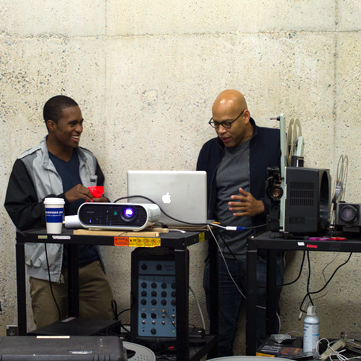 The Studio major requires a concentration in one of the areas of Cinematography, New Media, Painting, Photography, Printmaking, or Sculpture, and it culminates in a thesis exhibition in the spring of the fourth year. Each student majoring in Studio Art is required to have a thesis exhibition, created under the mentorship of a studio art faculty member. 15 ARTS credits at the 2000 level, including intro sequence of concentration. 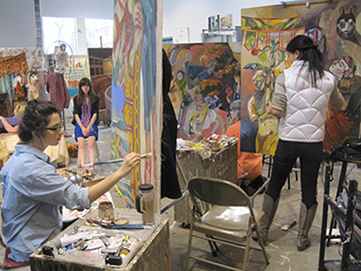 As of fall 2019, ARTS 2000 is required for entry into all upper level studio courses. Students who began the major before Fall 2019 will be grandfathered in to old requirements (if this applies to you, please speak to a major advisor to clarify). ARTH 2471 is required for the major. 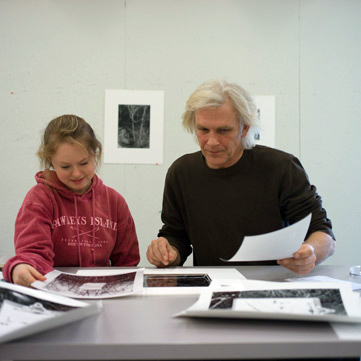 Painting, Printmaking, and Sculpture courses require ARTS 2610 (Drawing I) as a prerequisite to all classes. The minimum requirements for a concentration are the 2000 level intro courses in the chosen concentration area along with one 3000 level and one 4000 level course in that same area. The 4000 level course in the chosen course must be taken in the spring of the Fourth year during which the student will develop his or her required thesis exhibition. Nine additional credits at the 2000 level are required for the major and at least one of those classes must be in an area other than the student's concentration. An elective is also required for the Studio Art Major and consists of either an additional ARTH, additional 3/4000- level class in ARTS, or Special Topics in ARTS. Students who begin their concentration in their second year may choose to take up to six classes in their area, including the intro courses, two courses at the 3000 level, and two courses at the 4000 level. Please note: ARTS 4900 (Advanced Project in Art) does not count toward major credit. Majors must have a minimum gpa of 2.000 in all 30 credits of Studio Major courses, or be dropped from the program. A grade of C- or below does not count for major credit. With approval of the Director of the Undergraduate Program, students may transfer up to 9 credits to the major. 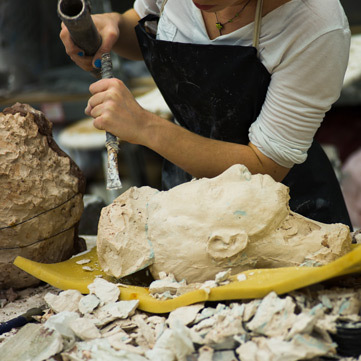 The minor in studio art requires 18 credits in arts courses including arts 2000 (as of fall 2019). 15 credits of arts 2000 level or above courses in at least two concentration areas. arts 4900 (Advanced Project in Art) does not count toward minor in Studio Art. Minors must have a minimum GPA of 2.000 in All 18 credits of Studio Minor courses. No arts course graded C- or below may count for minor credit. With approval of the Director of the Undergraduate Program, students may transfer up to 6 credits to the minor. Students who wish to declare a major or a minor in Studio Art should email the Art Department in order to be assigned an advisor. Please complete the Major Declaration Form (found in the Undergraduate Office-Monroe Hall) or Minor Declaration Form prior to your advising appointment. The information contained on this website is for informational purposes only. The Undergraduate Record and Graduate Record represent the official repository for academic program requirements. These publications may be found here.